An elderly man from Stratford is stopped by the police around 2 a.m. And is asked where he is going at this time of night. And this is an absolute must for doggie types. Hilariously put together and utterly heart-warming. The Irish pug sung by the Irish Pug. "The Empty Playground and the Welfare State"
This is a fascinating piece distributed by the NCPA. Apparently people who don't have children are 'free-riders' and socialised retirement has created more and more of them. I have a couple of problems with this. Many childless people pay disproportionate amounts of tax over their lifetimes. And thanks to other forms of working-age welfare some parents produce children that are not contributors. And the reasons behind falling fertility rates are multiple. But it's nevertheless an interesting theory. In centuries past, the traditional method for workers to prepare for retirement and ensure that their needs would be met was to have children. Ideally, parents would invest time and resources into raising their children, who would then care for their elderly parents in their retirement, says Ramesh Ponnuru, a senior editor for the National Review. This process has changed, but less than one might think. The relationship between the younger and older generation remains the same (the prior financially provides for the latter) -- the primary difference is that the system is socialized. 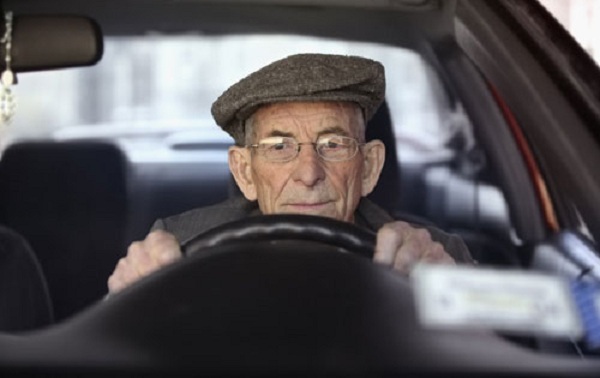 All younger citizens pay in, and all older citizens receive. Interestingly, the hidden effect of the socialization of this relationship is that it has created a widespread free rider problem, pitting those with children against those without them. Parents must invest in their children in order to turn them into productive workers, capable of caring for themselves and contributing to government programs for the elderly. Parents will then receive outlays from these programs later in life, which are presumably the fruits of their children's labor. However, non-parents will have the same retirement security provided by Social Security without having to raise their own children. In short, non-parents are given a free ride off of the efforts and sacrifices of parents. This is not to say that there are no other reasons for having children than retirement security; of course, many parents gain joy from raising children while others see it as an expression of gratitude for the life they have been given. Nevertheless, the presence of this free rider problem should, theoretically, result in people having fewer children in countries with developed Social Security programs. In a 2005 paper by economists at the National Bureau of Economic Research, they found that fertility rates dropped rapidly just after World War II, just when socialized retirement security programs were expanded. Additionally, fertility rates fell further in Europe, where entitlements were expanded more than they were in the United States. In their model, entitlements account for roughly half of the decline in fertility. They found that when a pension system expands by 10 percent of gross domestic product, the average number of children per woman drops by 0.7 to 1.6. At the weekend it was Metiria Turei bollocking Paula Bennett for "plunging the knife" into solo mums. Today it's Sue Bradford's turn. But first, consider the incongruity of her position. Sue Bradford wants the state to step in when a child is smacked. She didn't want any parent to be able claim the use of 'reasonable force' when disciplining a child and get away with it. But she wants the state to keep right out of influencing whether or not a parent previously convicted of serious child abuse or murder has a further child. [Paula Bennett] said the Cabinet was considering a range of options to deal with the issue of known child abusers or killers having further children - including allowing the Court to direct someone convicted of serious child abuse or neglect or murder not to have more children. But this is after the fact and frequently these children will be damaged in utero because of their mother's (and father's) habits. I am the last person to defend the state's desire to interfere in personal matters. But the first to concede it has a role in protecting children and adults from real harm inflicted by another individual. What I want to see is known perpetrator's paying for crimes. Not the vast majority taking the weight of interventionist legislation which attempts to find the needle in the haystack. Last week's Truth column about TV7 and others here. I see Bob Jones is now writing a weekly column for the NZ Herald and Rodney Hide's Herald on Sunday offering was superb. And I am confused because I thought Deborah Coddington had finished writing for the same paper but maybe she is doing an occasional column. 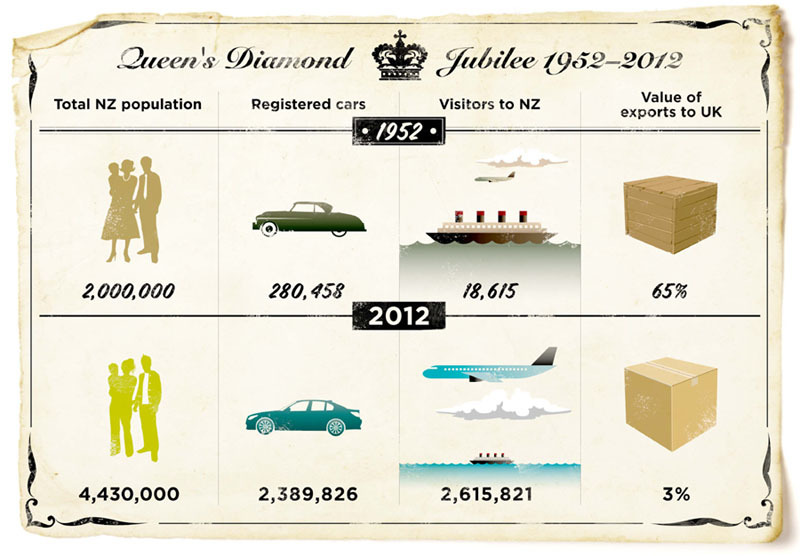 New Zealand’s population – both humans and cows – has more than doubled in the 60 years that Queen Elizabeth II has been on the throne, but it seems the price of an electric kettle is a fraction of what it once was. 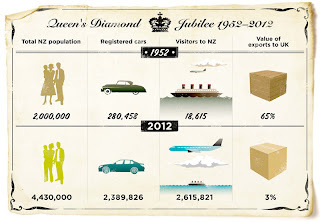 Statistics New Zealand has been delving into historical data from 1952 and comparing it with the latest information available. Deputy Government Statistician Dallas Welch says New Zealand’s population has changed markedly. Mrs Welch said immigration patterns have also changed. “When the Queen first took the throne, more than half of our immigrants came from the United Kingdom. Today that’s more like 17 percent, although in the past year, more people still moved here from the UK than from any other place. And as for making a nice cup of tea, in 1952 an electric kettle cost 59 shillings and 6 pence (about $164 in today’s terms) and a 1lb (500g) pack of tea was 6 shillings and 4 pence (about $16.60). Today a kettle costs about $44 on average, and a box of 100 teabags (about 200g of tea) costs about $4.46. 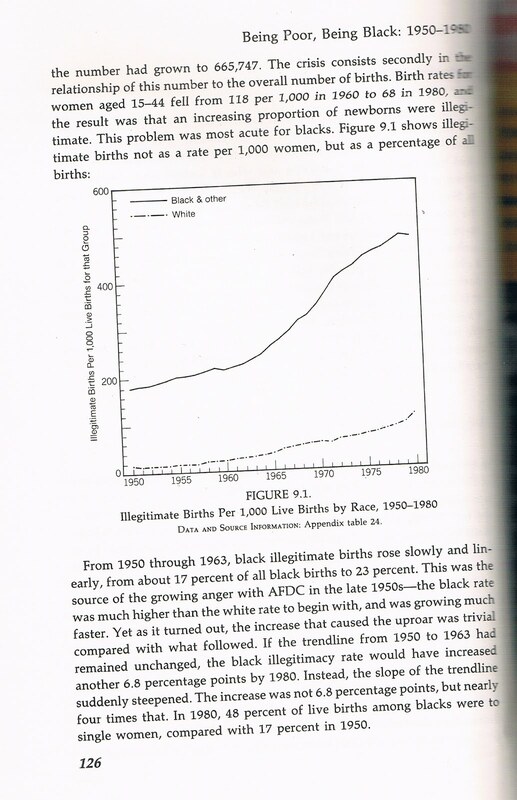 "Second, I see your graphs (on your blog) confirm, or don’t contradict, the claim that rates of African American ‘out of wedlock’ births were pretty constant between 1920 and 1990. So I take it you accept that point?" 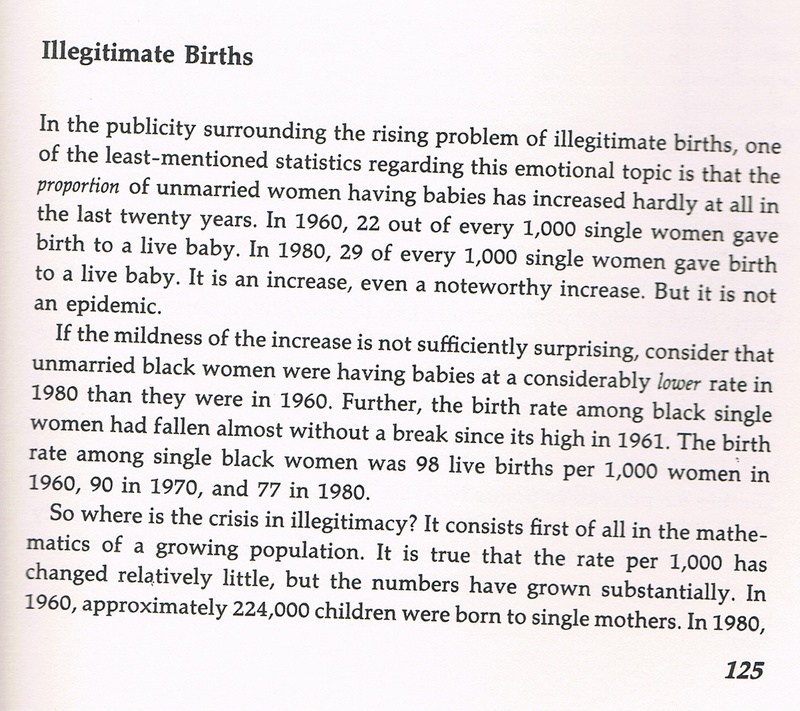 I have scanned what Murray actually wrote about illegimate births in Losing Ground. He didn't dispute it either. "Since 1990, the graphs you posted indicate significant reductions in that rate, especially amongst African Americans but also, to a much smaller degree in other groups. You think – or at least I assume you do – that that decline is associated with ‘welfare reforms’ initiated prior to and during that period? These ‘reforms’ being removal of access to cash benefits, etc. 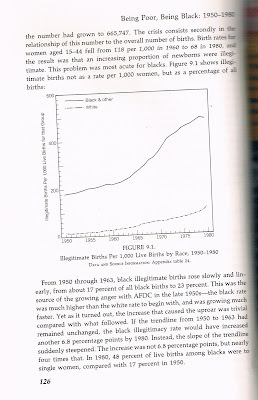 I’m interested in why you are interested in that particular possibility rather than others such as (a) the economic up-turn in the 1990s (If I recall from the link in my last response, that was the explanation for the increase in the proportion of African American ‘out of wedlock’ births prior to 1990 – more employment and therefore fewer births overall, therefore unmarried births formed a greater proportion of the birth rate) and (b) the increased funding for Medicaid and related contraception and abortion services (here and here), especially for low income groups. I’m particularly interested in the latter as I also take it that you support the current proposal to provide free, long-acting contraception to young women beneficiaries (suggesting that you think it will be an effective measure)? Given that African Americans are disproportionately represented amongst the low income groups, the effect would be particularly significant for that group." What I said was, "In which case you would have to conclude that reforms have nothing to do with the tumbling rates after 1990. I don't accept that. Neither do I rule out other factors at play." If it were the economy alone a turn-around would have occurred during the later 2000s. It hasn't. I'd guess that the extra contraception funding was effective as part of the reforms because the abortion rate also decreased. 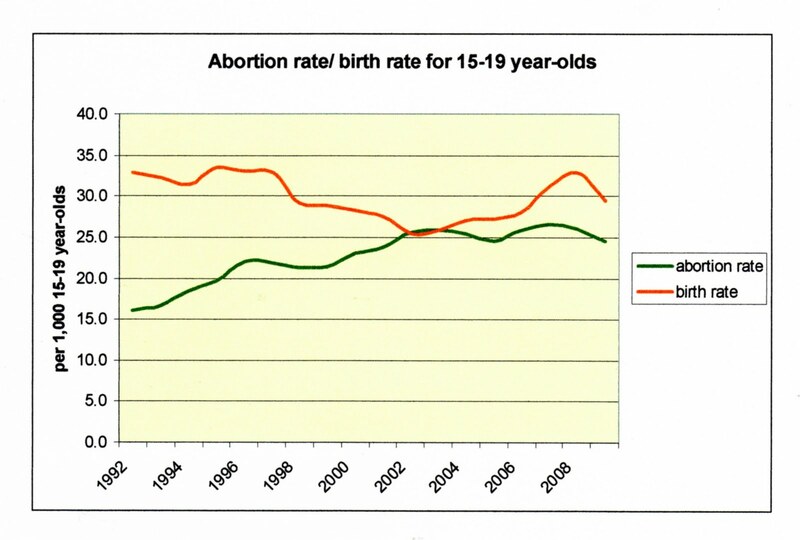 So unless sexual behaviour has changed, falling birthrate and falling abortion rate equals more prevention. Do I think offering free long-acting contraception to women beneficiaries will help? To a degree. When female beneficiaries know that they will be work-tested when any additional child is one year-old they will be more motivated to avoid that outcome. But young women who want babies - for whatever reason - or who are disinclined to use contraception for other reasons - eg weight gain - aren't going to be persuaded. "There’s a third possible cause for this decline in rates of unmarried births – marriage may have become popular again, especially for young teenagers (I seem to recall something about the ‘resurgence’ of marriage?). There’s also the artefactual effect stated in the footnote to the table underpinning the graphs (in the original source): “Trends in non-marital births may be affected by changes in the reporting of marital status on birth certificates and in procedures for inferring non-marital births when marital status is not reported.” (Interestingly, the rates of unmarried births reduced far less significantly for African Americans aged 18 and 19 years (about 15% between 1995-2002) than it did for 16-17 year olds (33%) – why would that be the case given that, presumably, any ‘welfare reforms’ would have affected those groups equally?)" I wouldn't assume they were affected equally by the welfare reforms. Part of the reform process was focussed on keeping younger girls in school and living with a 'responsible adult' as a prerequisite for receiving cash assistance. Similar to what National is going to attempt. Marriage resurgence? 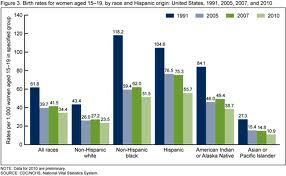 In general marriage rates across races are down. 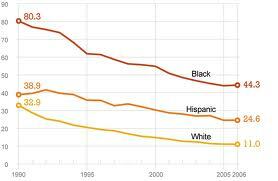 That doesn't mean a sub-group (by age) wouldn't be following a different trend but I can't find any evidence of it among African American teenagers. Increasing co-habitation is another muddying factor but co-habitations tend to be far less stable than marriages. In fact their brevity often leads to reliance on welfare assistance with a young child. 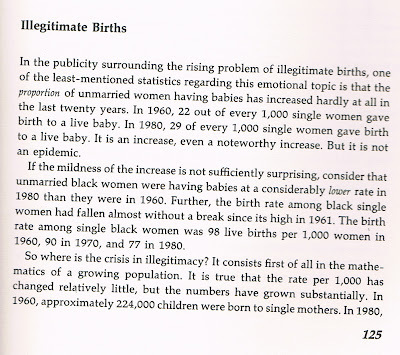 "Given these other possible explanations why focus on an explanation that, if incorrect, could result in significant further hardship (i.e., no effect on birth rates but more instability of income for the mother)? Isn’t that quite a risk to take?" Can I take a broad approach now because arguing individual points is interesting but very time-consuming. Your viewpoint appears to accept the high level of single parents and works on how best the state should ensure their children, who are disproportionately reliant on welfare, do well. Hence the DPB isn't a problem to you. Whereas I believe the strongest society is built on enduring, mutually supporting, voluntarily co-dependent relationships between individuals. There will always be relative poverty but strong families compensate for this (in NZ this is illustrated by Pacific and Asian families.) I have no doubt that we both want the same end but we are going to disagree on means. 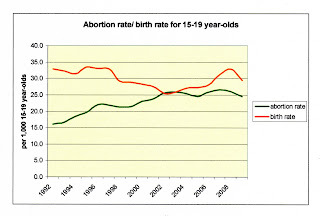 I reflect momentarily, wouldn't it be great to see the US downward trends in teenage birth and abortion happening here. There is some very recent improvement but there isn't a long-term established trend.